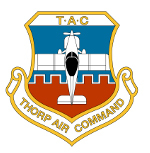 Thorp Air Command - T18.net • View topic - What wing fuel tank aux pump do you recommend? What wing fuel tank aux pump do you recommend? Post subject: What wing fuel tank aux pump do you recommend? The fuel pump which pumps the fuel from the wing tanks to the main tank has died. My pump is located in the fuselage under the pilots seat. What fuel pump do you recommend I use for as replacement pump? Post subject: Re: What wing fuel tank aux pump do you recommend? Thanks Bill, glad to know these are working on other birds out there. I looked at these prior to my post, but I was hesitant to buy it because it has a max lifting ability of 24", and that seemed pretty close to what I estimated the total rise to be from the floorboard to the top of the fuse skin over the fuel tank. I'll hit autozone today and see if I can find one locally. If not, I'll get one ordered today. Thanks again. I never realized how much I enjoy having the extra fuel in the wings until now. the 24" is max output, say 15 gallons per minute, the higher the head pressure the less fuel pumped. ah, interesting, thanks for that info about the 24" lift. Turns out I had one of those pumps sitting on my shelf. It took me about 6 hours this afternoon to remove the old one and install the new one. Man, my back is killing me from working bent down between my legs and I am wore out!